Jim loved bird characters and had designed a large, walk-around bird in 1963 for a Stouffers Food commercial that was never produced. He revised his design, and Love started building the character. 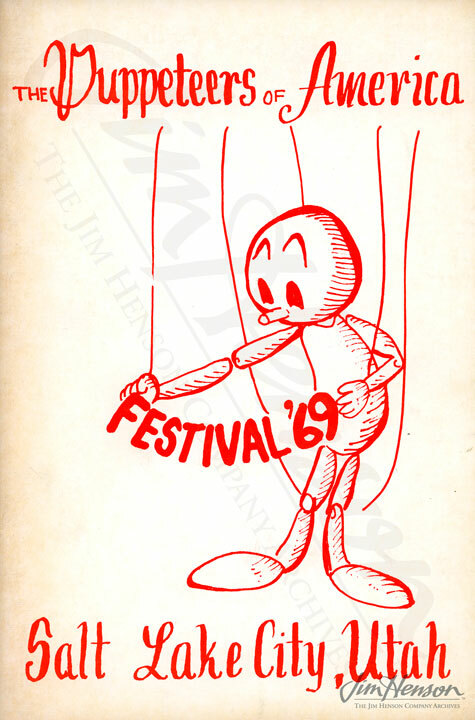 A puppeteer was needed for this important role, but none of Jim’s regulars were interested. During his annual trip to the Puppeteers of America festival that August, he kept an eye out for talent. 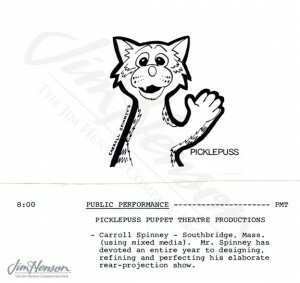 On the last evening of performances, he watched Massachusetts puppeteer Caroll Spinney (spelled Carroll at that time) present a multimedia extravaganza. 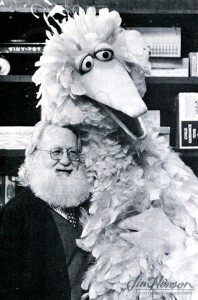 Though the show didn’t work out as planned, Jim was impressed and invited Caroll to New York to perform Big Bird. Things started slowly, as Caroll explained in a 1973 interview, “Big Bird was very incidental to Sesame Street for the first 100 shows, just adding a little fantasy to the realistic street scene. Then one day I did a solo thing where I went into Gordon’s kitchen, heard a sound, and built up this fear about monsters in the hallway. It worked, and the writers began creating bits for me.” Within a year, Big Bird was on the cover of Time magazine. Caroll continues to perform Big Bird, and his alter-ego Oscar the Grouch, as we head into the 42nd season of Sesame Street. Watch Big Bird during an early season of Sesame Street. 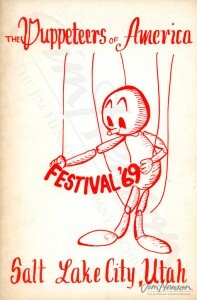 Program cover for the Puppeteers of America Festival, 1969. Caroll Spinney, 1971. Photo by Michel LeGrou for Image. Kermit Love and Big Bird, 1971. 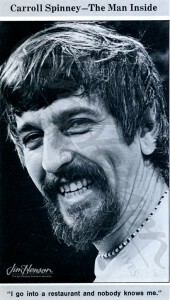 Photo by Michel LeGrou for Image. 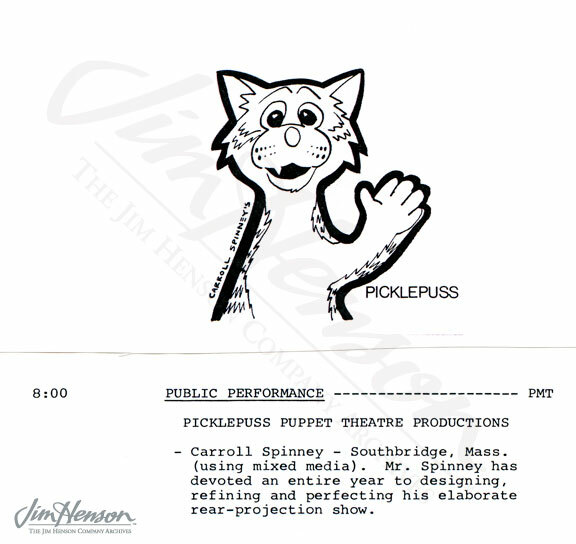 Program listing for Caroll Spinney’s presentation, 1969. This entry was posted in 08-August '69, 1969, Sesame Street and tagged Big Bird, Carol Spinney, Carroll Spinney, Gordon, Kermit Love, Puppeteers of America Festival. Bookmark the permalink.